After passing the California Bar Exam, I attended the swearing-in ceremony before the California Supreme Court. In a speech to the crowd, one of the Supreme Court justices advised that the most common mistake made by attorneys was to not return their clients’ phone calls. This seemed especially odd to me since attorneys need clients to make a living. But over the years, I’ve discovered that other professionals also make mistakes that are hard to understand. While attorneys ignore their clients’ phone calls, authors, whose key tools are words, seldom understand or make the effort to understand the agency and publishing contracts they sign. As important as words are to authors, they fail to realize that a contract is often nothing less than a storyline for their writing and publishing future. What’s the big deal, you might ask? Just read the contract. But what if reading your agency or publishing contract doesn’t guarantee understanding your contract? The truth is that even educated people in various walks of life cannot read and understand a contract without some legal background. Why? Because most such contracts are prepared by attorneys who write in what some call “legalese,” a language designed by lawyers for other lawyers including judges. For anyone who is accustomed to the ordinary meaning of words, reading legalese can be a frustrating experience. 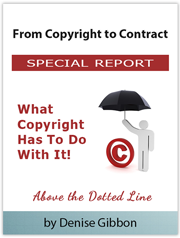 Remember, too, that the agent or publisher has paid an attorney to prepare the contract. More likely than not, that lawyer’s version of a “standard” agency or publishing contract is designed to favor the person who is paying the lawyer and not the author. When it’s time to decide whether or not to sign or negotiate the terms further, why should you deny yourself the same legal edge as the other party? When many authors are presented with a pen and a dotted line, they claim that they can’t afford an attorney. This is not a good excuse. You’ve spent months if not years writing your book, stories or articles, paying for writing seminars and editors, and sacrificing time with friends and family. You might have worked fewer hours at your day job and earned less money for an extended period in order to finish one or more manuscripts. Even if you hired a ghostwriter, you likely made many of the same personal and economic sacrifices. If you could put a price on what you’ve invested in your writing, it could amount to many thousands of dollars. When an agent or publisher has offered you a contract, you have an opportunity to earn back your investment and, hopefully, more. You simply can’t afford not to engage an attorney. Although legal fees can seem daunting, you have options. Most literary attorneys charge on an hourly basis but some will accept a flat fee if you ask for one. Many will also gladly accept credit cards or monthly payments. Do whatever you can to retain an experienced literary attorney–your publishing future deserves it.